John Kachuba is the award-winning author of twelve books and numerous articles, short stories and poems. Among his awards are the Thurber Treat Prize for humor writing awarded by The Thurber House and First Place in the Dogwood Fiction Contest. John teaches Creative Writing at Ohio University, Antioch University Midwest and the Gotham Writers Workshop. He is a member of the Historical Novel Society, the Horror Writers Association, and the American Library Association’s Authors for Libraries. 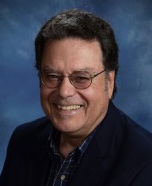 John frequently speaks on paranormal and metaphysical topics and is a regular speaker at conferences, universities and libraries and on podcasts, radio and TV. He has been a repeat guest on radio’s “Coast-to-Coast AM with George Noory” and appeared in the Sundance Channel’s TV production, “Love/Lust – The Paranormal.” His blog is The Metaphysical Traveler. C.M. MAYO: The Savage Apostle is grounded in years of research. What sparked this work? JOHN KACHUBA: I grew up in New England and the region’s history has always fascinated me. In addition, I have had a lifelong interest in Native American history and culture, so this novel, which combines both interests, is a natural for me. Still, it was a long time in the making. The actual “spark to the fuse,” though, was some research I as doing for a novel in-progress which deals, in part, with the 19th-century Indian boarding schools. As I read about the often disastrous attempts to ”civilize” Native Americans by stripping them entirely of their culture and heritage, I wondered how that idea had originated. That speculation led me back to New England and the Harvard charter of 1650 that promoted education for the youth of the Massachusetts Bay Colony, both Indian and White. From there it was a quick link to Harvard-educated John Sassamon’s murder and the subsequent terrible events that resulted in King Philip’s War. C.M. MAYO: What was the nature of your research? Can you mention a few key archives, visits, and/or books and how they influenced your novel? JOHN KACHUBA: Having grown up in New England, living in Connecticut and Rhode Island, I had already visited some of the sites associated with King Philip’s War. I relied heavily on other books for my research. I am especially indebted to Russell Bourne’s The Red King’s Rebellion: Racial Politics in New England, 1675-1678, long regarded as the “bible” on that war. Another important book was The Name of War: King Philip’s War and the Origins of American Identity by Jill Lepore. A fascinating book dealing with the trial of the three Wampanoag accused of murder Sassamon was Igniting King Philip’s War: The John Sassamon Murder byYasuhide Kawashima. This last book, in particular, exposed some of the superstitious beliefs that still existed at that time, beliefs that were even more in evidence during the Salem witch trials that took place roughly fifteen years after the events recounted in The Savage Apostle. JOHN KACHUBA: The reason why I wrote this book as fiction is precisely because only fiction can reveal the emotional and psychological truths of those involved in the events. Since the Native American population of which I write was almost entirely illiterate, depending upon oral tradition to tell and pass on their histories and beliefs, there are no written records from them concerning the war and what befell them as a people. The only written accounts we have are from English chroniclers of the time who were writing from a place that held their own biases and cultural and religious beliefs. I thought the only way I could fairly relate Metacom’s version of the events and that of his people was through fiction. C.M. MAYO: In our national consciousness King Philip's War pretty much draws a blank. Why was this such a crucial period in the history of North America? And do you see parallels and/or echos in other periods of our history, other regions? JOHN KACHUBA: Yes, King Philip’s War is one of the “forgotten wars,” like the War of 1812 or the Spanish-American War. Even in New England, it’s possible for schoolchildren to graduate without ever hearing of it. Yet, the war was the costliest war, per capita, ever fought on American soil; dozens of English towns were destroyed, the Native American population was almost entirely wiped out, and the New England economy was so devastated that it too almost a century for it to recover. But one of the war’s legacies remains with us today. How the English colonists ruthlessly dealt with their Indian neighbors after nearly fifty years of peaceful coexistence set the policy for all future dealings between White authorities and Indians, a policy that extended westward and led to the attempted extinction of Indians, the stealing of their lands, and the destruction of their culture. Indian schools, albeit far more humane that their earlier predecessors still remain and an outdated and broken reservation system continues to keep Native American as wards of the state. 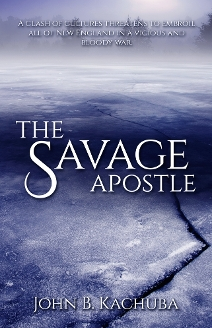 I also believe that The Savage Apostle can serve as a cautionary tale for today’s world where divisiveness and conflict are so often brought about by racial and religious intolerance. That is why I have included a Discussion Guide in the back of the book in hopes that teachers and book clubs may use it as a tool to explore these topics. JOHN KACHUBA: This book is something of a departure from my usual paranormal haunts, so to speak, but maybe not as far afield as one would think. Like many indigenous people, Native Americans have a strong belief in the spirit world and its paranormal denizens. For them, spirts are real and are with us all the time, whether we know it or not, whether we acknowledge them or not. There are two scenes in The Savage Apostle in which Metacom is visited by the ghosts of his brother, Wamsutta, and father, Massasoit. Did that actually happen? History does not tell us, but given Metacom’s culture and beliefs it is possible that such visitations could have occurred, or he could have believed that they occurred ( a subtle difference, but one that does not matter to the person experiencing the visitations). In addition to the ghosts, there is also mention of various spirits that would have been consistent with Metacom’s religious beliefs. > Visit John Kachuba's webpage here.